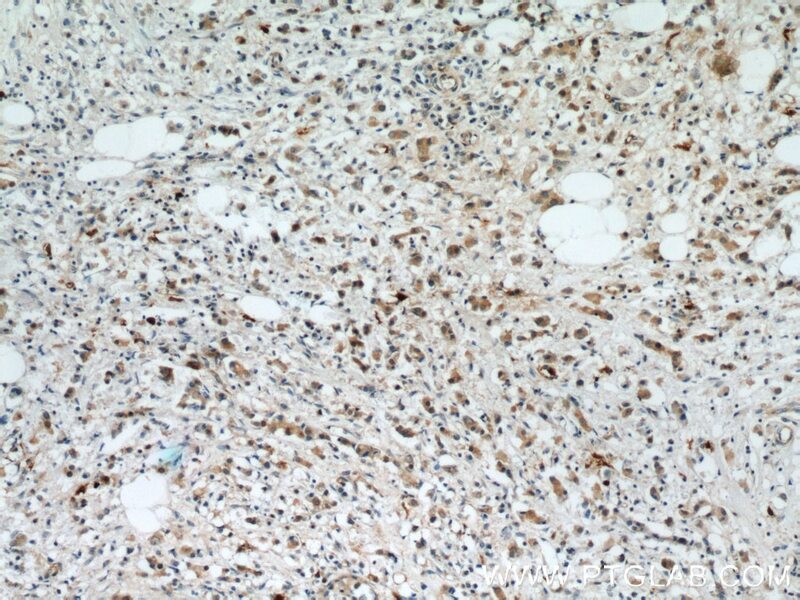 Immunohistochemical analysis of paraffin-embedded human breast cancer tissue slide using 14226-1-AP( S100A9 Antibody) at dilution of 1:200 (under 10x lens). 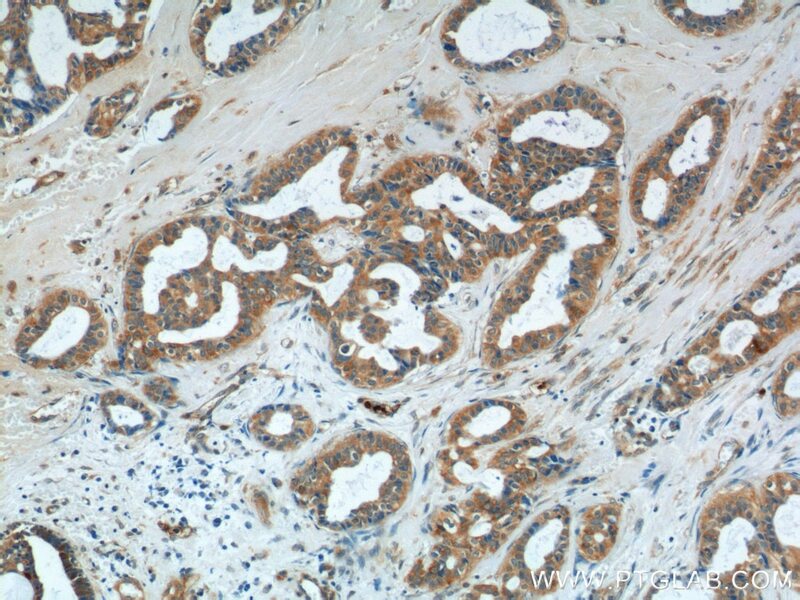 Immunohistochemical analysis of paraffin-embedded human breast cancer tissue slide using 14226-1-AP( S100A9 Antibody) at dilution of 1:200 (under 40x lens). 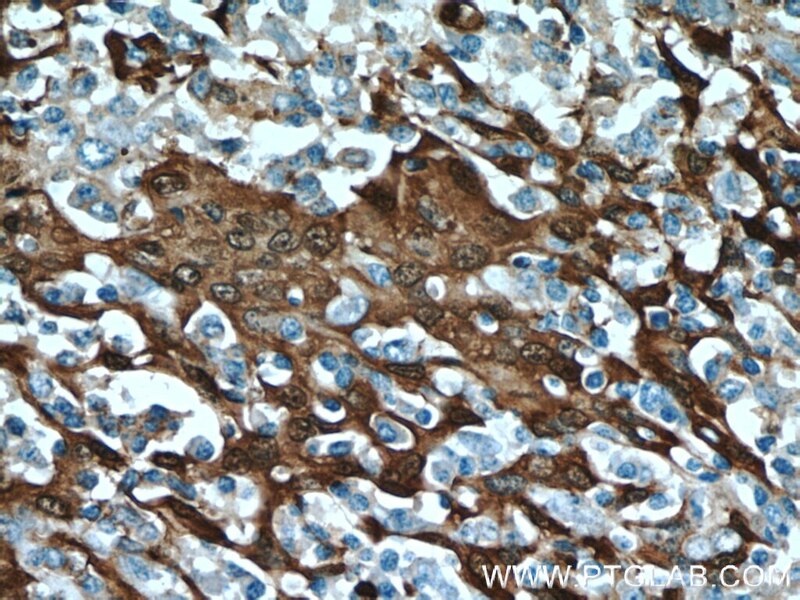 S100A9 is a calcium binding protein as a member of the S100 family of proteins. 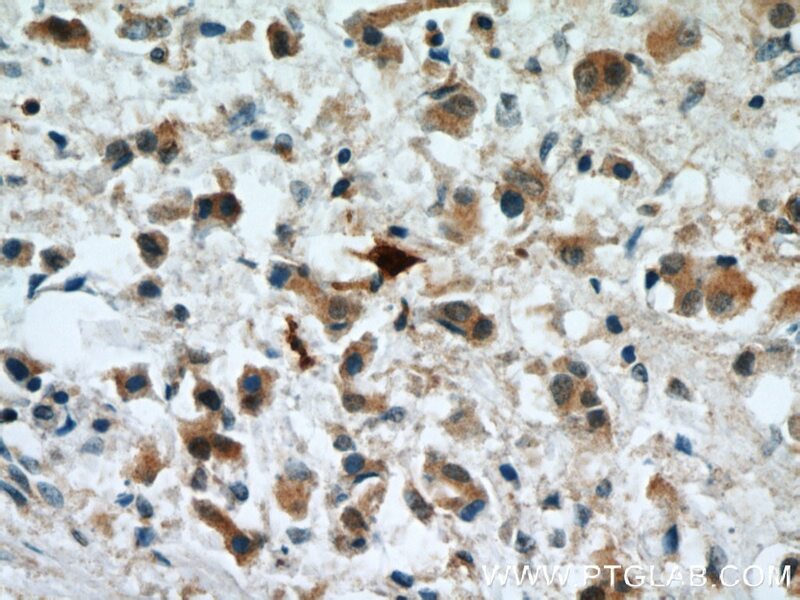 S100 proteins are low molecular weight (9 to 14 kDa) intracellular calcium-binding proteins that control key cellular pathways including regulation of the cytoskeleton, cell migration and adhesion, and host oxidative defense. S100A9 may exist as a homodimer, heterodimer with an S100A8 partner (S100A8/A9), or as a heterotetramer with an S100A8 partner(S100A8/A9). 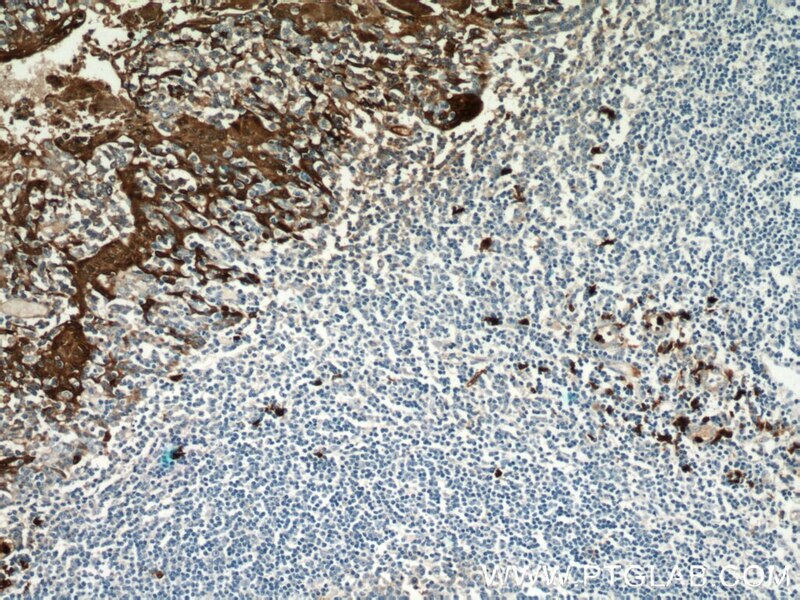 S100A8 and S100A9 are found intracellularly in granulocytes, monocytes, and early differentiation stages of macrophages. 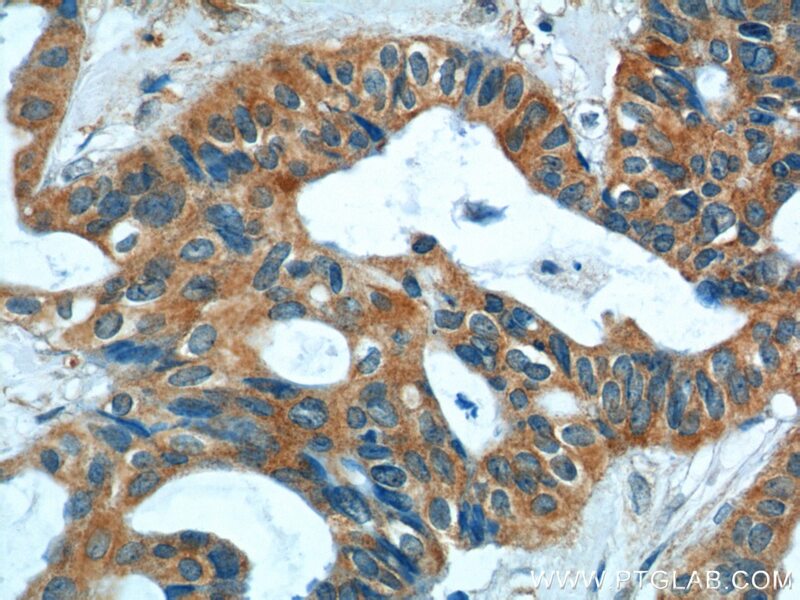 KRAS-IRF2 Axis Drives Immune Suppression and Immune Therapy Resistance in Colorectal Cancer.